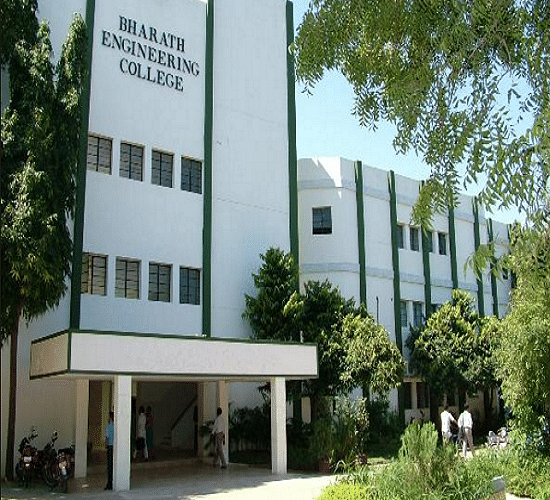 College of Engineering is a department of BIHER (Bharath Institute of Higher Education and Research) which was established in 1984. 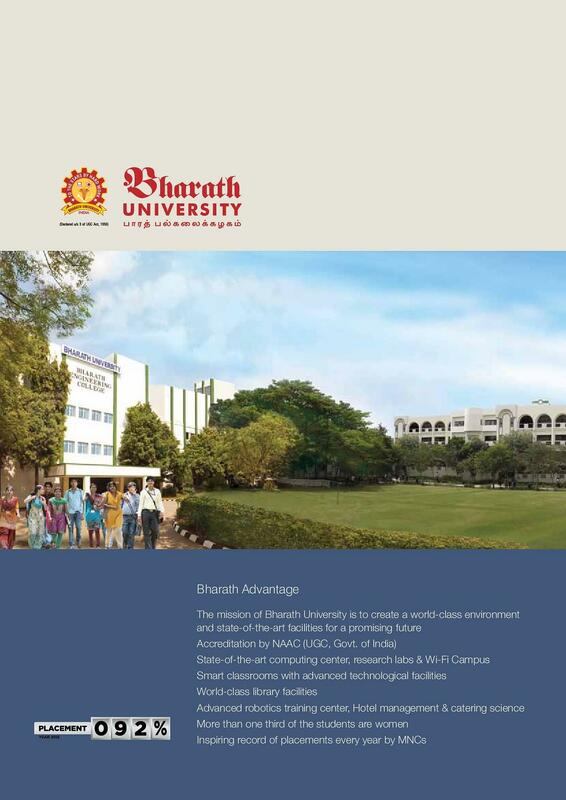 Bharath was recognized as a Deemed to be University by MHRD in July 2002. 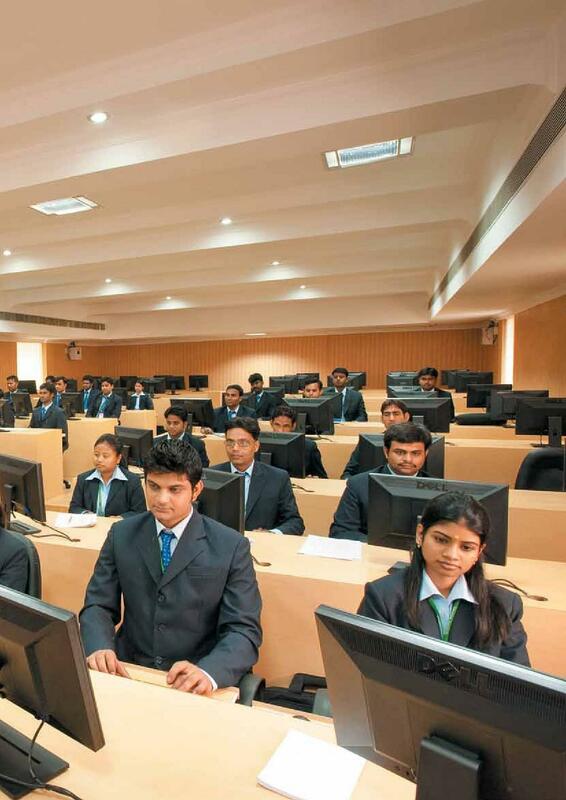 Since its inception, the institute is imparting quality education to around 10000 students from across the world. 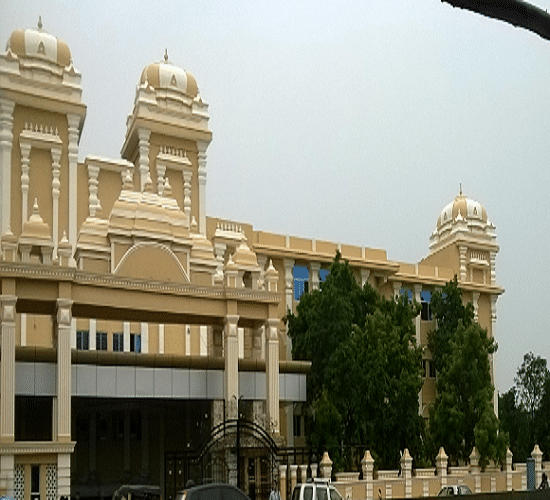 The College of Engineering offers Undergraduate and Postgraduate programs in several branches of Engineering and Management. 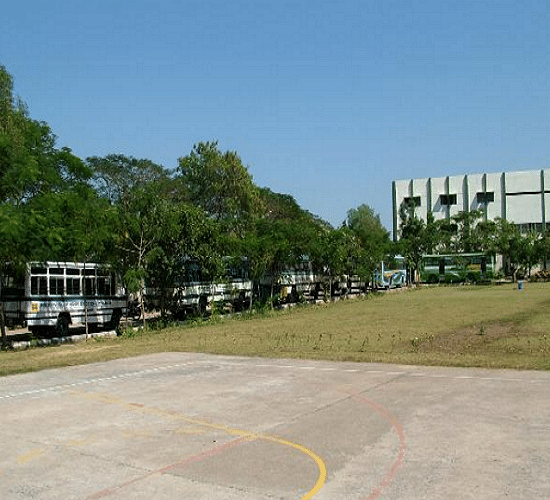 It has 4 campuses located in Tamil Nadu and Puducherry. The minimum eligibility is securing 50% marks in 10+2 or its equivalent in Physics, Chemistry and Mathematics and the candidate must qualify (Bharath Engineering Entrance Examination) BEEE. 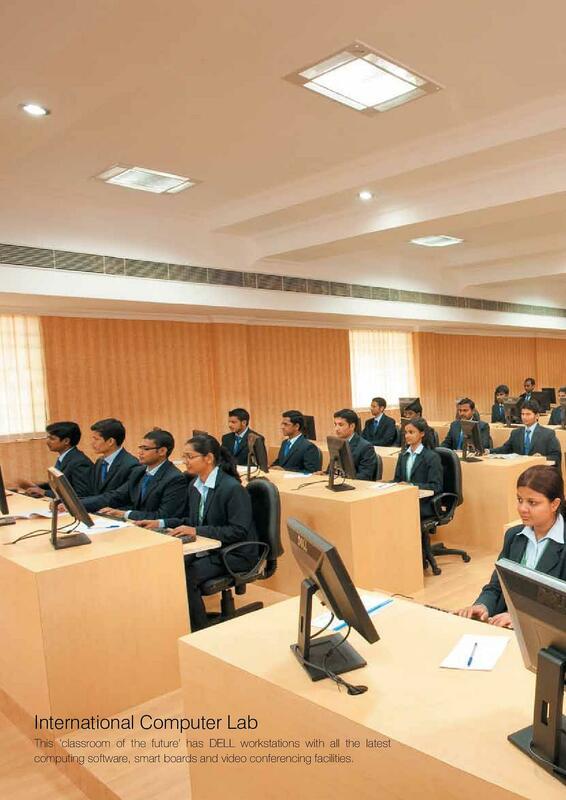 Whereas, for B.Tech (Lateral), the candidate should possess Diploma with 50% marks from the institution recognized by Central/State Government or B.Sc with Mathematics or its equivalent. BEEE Eligibility: The candidate must be a resident of India and should possess qualifying degree from an Indian institution. The minimum eligibility is B.E/B.Tech in the concerned field or its equivalent from the institution recognized by AICTE/UGC with 60% marks or equivalent CGPA. The institute offers various scholarships and tuition fee waiver scheme to the students on the basis of marks scored in the competitive examination. Ranked 35th by NIRF Overall Category in India. 41st Rank in Teaching, Learning & Resources in India. 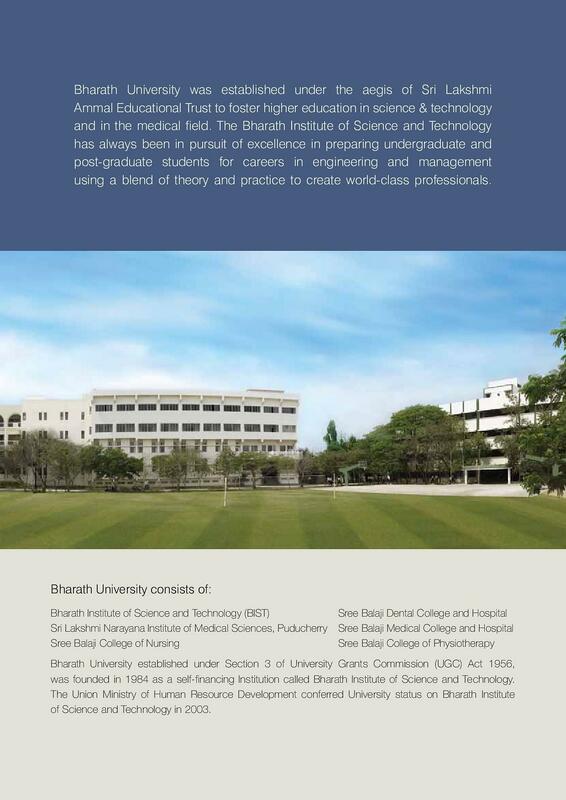 Ranked 51st in India for Research and Professional Practices. 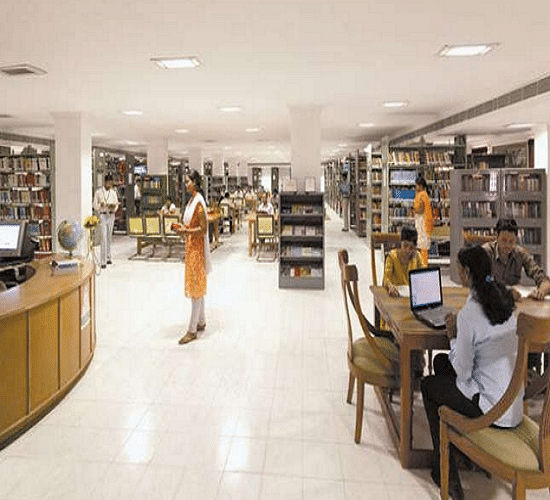 Ranked 35th in India for Research and Professional Practices. 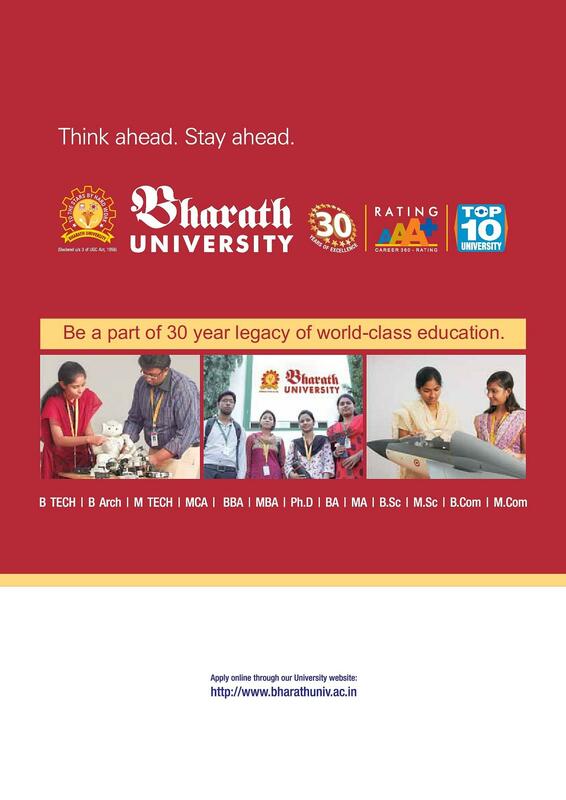 Ranked at 3rd place as a Multi-stream University in India. Best Private University awarded by ASSOCHAM and MHRD in 2017.